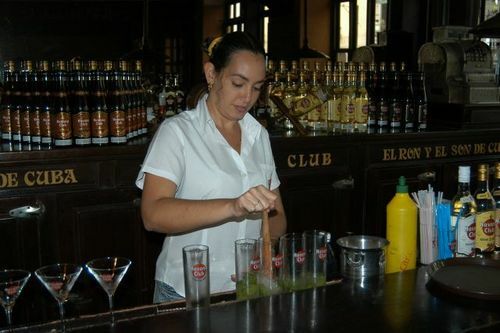 A clean workstation is an essential element of any bar, and as a bartender or server, you have to learn to make and mix drinks without leaving a messy workplace in your wake. So how do you do it? While it might seem overwhelming to keep the counter clean at first, especially if you work in a busy bar, you’re going to have to learn. These tips are intended to anyone with Montana alcohol server training (or who intends to take the course) learn to keep their workstation or bar as neat and clean as possible. Let’s get started. You will want a small trash can or waste basket directly below your workstation. If you can have a small basin and set it on the shelf just below your workstation then you can use it to scrape scraps and ice cubes into throughout the night. Then, all you have to do is simply scrape the counter clean instead of making multiple trips across the room. This saves a lot of time, especially if you’re busy. No matter how busy it is, don’t forget to wipe the station down between drinks. You can use a very large wet rag (preferably with a little bit of bleach) to simply swipe over the workstation. Once again, you can do this directly into a small basin or trash can to get rid of any debris or trash that might be on the counter. This helps to keep your workstation from getting sticky and messy, which really helps to keep everything clean. As a tip, keep at least two or three large rags in a basin of bleach water either on or under the counter. Everything should have a place so that you can easily put it back, and then find it again as quickly as possible. Even bartenders who have had their alcohol server certification for years can sometimes spend time looking for important items if they don’t have everything organized. Your best bet is to create an exact place for each alcohol and drink ingredient, and then leave it there no matter what. The same rule should apply to knives, spoons, mixing ingredients and straws and anyone new who comes into the workstation should be immediately introduced to the order. If you have a few minutes or more between each customer then you should spend at least part of the time straightening up. Whether wiping down the full bar, organizing your bottles, or even straightening them, you can easily keep on top of everything by taking a few minutes here and there throughout the night. For example, straighten all of the bottles so that the labels all face the same way, organize the spoons and straws, and make sure everything looks neat. If you’re using cut fruit, make sure you have it put away properly if it will be more than a few minutes before the next order. There’s nothing quite like maximizing your time so if you don’t mind multi-tasking, you can try talking to customers while you do important things like restocking bottles of beer and cleaning the glasses. 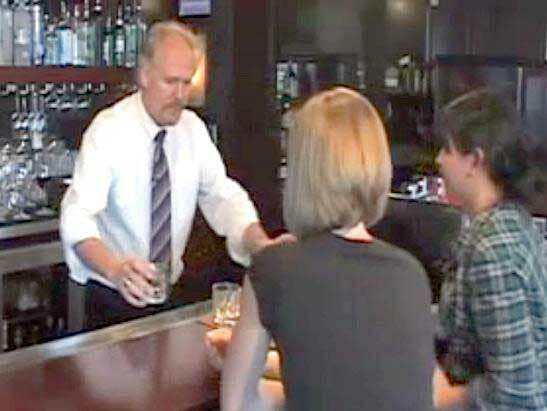 Of course, if you have a bar-back then you won’t have to worry about this, but otherwise it’s always a great idea. Most bars have the sink in the front so you can easily chat with the nearest customers while cleaning up.